I was age 7 and had just been to the dentist to have teeth taken out, and had had gas. 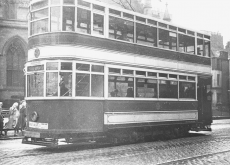 My father and I got on the tram in the High Street, the tram was crowded and Dad let me sit as I didn't feel too well. We spotted my grandparents at the front of the tram but couldn't get near them. As the tram moved off I felt very sick and told my father who brought out his hanky, but it was too late. I was sick all over my Dad's coat, the tram seat and the floor. 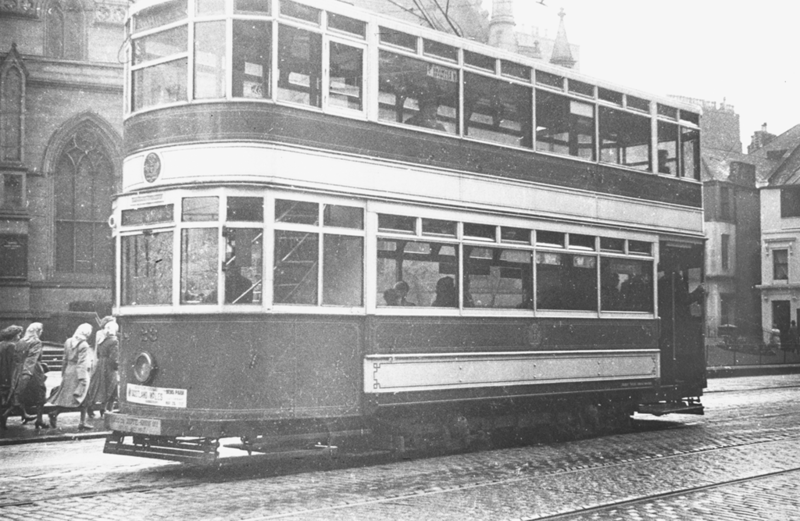 The conductor told my Dad he would need to pay, I think it was sixpence to have the tram cleaned and luckily my Granny paid it as my Dad didn't have sixpence.